You must be a member of the Houston The Woodlands & Spring Group to attend this activity. Would you like to join this group? 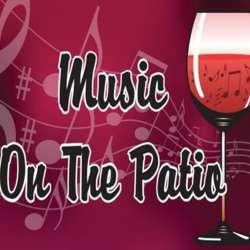 Join me to enjoy live music on the patio by Lois Albez! From her homeland of Brazil . . . to Hollywood . . . and now to Houston, singer and musician Lois Albez thrills audiences wherever and whenever she appears. FEE: No Cost to Attend – FREE. Cost only for whatever you decided to order food or drink wise; which will be your responsibility. GOODIES: Live Music!!! An accomplished bassist, guitarist, and songwriter as well as singer, Lois Albez brings heat and passion to a wide range of styles including samba, bossa nova, and salsa. Her diverse repertoire features material all the way from jazz standards, to torch songs. NOTE: Please only RSVP if you 100% plan on attending. Space is limited. If there is an overwhelming interest to attend then I will update everyone closer to the date if the venue is able to accommodate whatever the final count ends up being.